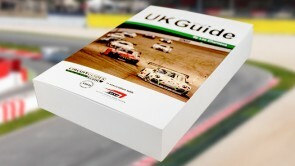 The Euro Guide is a unique guide to the fast way round the most popular race tracks in Britain, Europe. Containing comprehensive notes and diagrams on 19 circuits, the Euro Guide is invaluable for amateurs and seasoned pros alike. With racing lines, braking points, apexes, gradients, visual markers, difficulty, importance and much more described for every single bend on every single track in the country, there’s no better source of knowledge to help you find those extra seconds. As well as corner-by-corner driving analysis for each circuit, this guide also contains a host of other useful material for anyone planning a visit to a track. Assembled by an expert team under the direction of experienced racer Les Charneca, the Euro Guide takes a detailed, practical, interesting and often entertaining look at the challenges involved in nailing that perfect lap. It’s an essential part of any driver’s library.